The historical epic centers on Shichika Yasuri, the seventh generational head of the Kyotō-ryū school of martial arts in medieval Japan. He and his older sister Nanami live on an isolated island, until a military advisor named Togame tells him of the final 12 swords forged by a legendary swordsmith. At Togame's bidding, Shichika embarks on a journey to find all 12 of the swords. 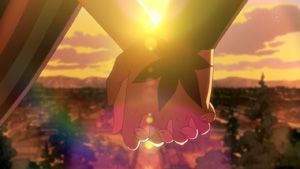 As Togame lays dying in Shichika's arms, she tells him that all of this was a part of her plan and that had she not died, she intended on killing him after he retrieved all twelve blades. Having manipulated everything, including her heart, into her plan, she says that her feelings were real and dies asking Shichika if it's ok for her to fall for him. Having become annoyed with her brother's slow progress Nanami has decided to leave the island and collect the 'Deviant Swords' herself. 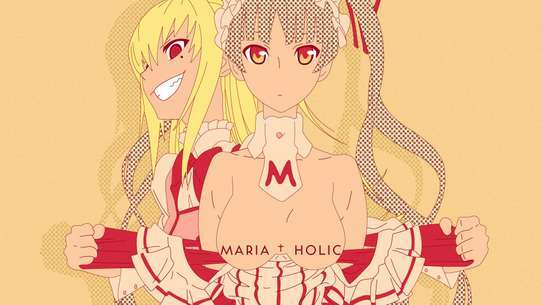 However, her methods are far more ruthless than those of Shichika and Togame, and it isn't long before she acquires the Bita sword bringing the two sides into direct competition. As such the siblings are pitted against each other in combat but can the current head of the No Sword School really hope to defeat his vicious and gifted little sister; the 'true' heir to the title. Hakuhei Sabi challenges Shichika to a duel for possession of the Hari Sword and the rest of Shikizaki Kiki's Blades. Meanwhile, the Maniwa Ninja's Insect Squad attempt to kidnap Nanami and use her as a hostage against her brother. However, the Insect Squad soon discover that although Shichika is the head of the No Sword School, Nanami is far superior to her brother in combat and it doesn't take her long to kill all three of the Ninja sent after her. 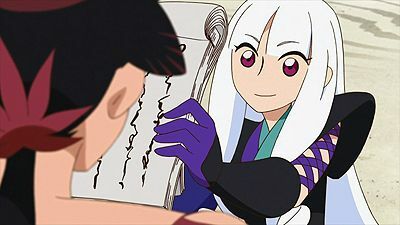 The episode begins with a flashback detailing how Shikizaki Kiki first met Kazune Yasuri, the man who would one day become the first head of the Kyotouryuu style. Jumping back to the future, Emonzaemon and Houou Maniwa face off in the duel that left Penguin Maniwa injured at the end of the previous episode. Emonzaemon gains an advantage over Houou but is sliced down when Panguin hands him Dokutou Mekki. However, Houou loses his mind in the process and wounds Penguin as well. 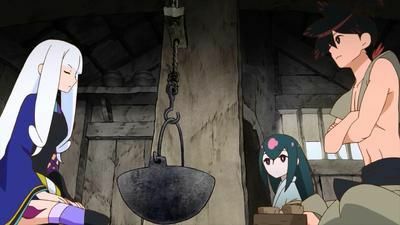 Shichika and Togame travel to Togame's childhood home in search of Rinne Higaki, a holy man in possession of Seito Hakari. When they find him they discover that Rinne has no physical form; when someone looks at him, they project an image from their memories on to him and he takes that appearance irregardless of his own will. This causes emotional strain for the duo as they both see people related to painful memories that they would rather forget. Meanwhile, Houou and Penguin continue on with their plans while Princess Hitei sends Emonzaemon out to spy on Togame and Shichika. 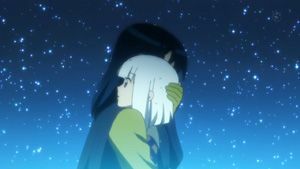 After Togame and Shichika retrieve Seito Hakari, Rinne informs them that he was a personal friend of Shikizaki Kiki and reveals that the Kyotouryuu fighting style is actually Kiki's thirteenth and final perfected blade. As the episode closes and our duo heads off to their next location, they stumble across Penguin Maniwa who is lying the middle of road, gravely injured and begging for someone to save Houou. It has been one month since Shichika left his island home and began his journey with Togame. 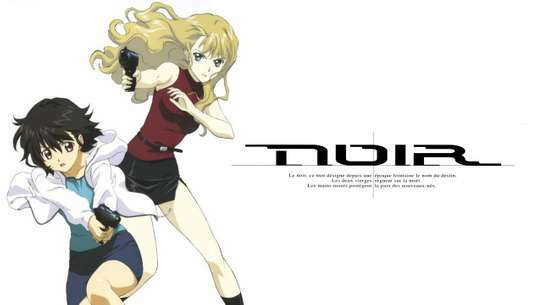 Together they have journeyed across Japan to Inaba where they hope to retrieve the Namakura Sword. However, the swords current master, Ginkaku Uneri is far more skilled than anyone Shichika has ever faced before. Shichika must then use all of his skills in order to defeat Ginkaku and protect both the sword and Togame. Shichika and Togame are three months into their search for the 12 Deviant Swords and this time they have arrived at the Sanzu Shrine in order to retrieve the Tsurugi sword. However, in order to obtain it not only must Togame find the original Tsurugi from one thousand identical blades but Shichika must defeat it's master Meisai Tsuruga in a one-on-one duel. To make matters even worse Kuizame Maniwa is also after the Tsurugi sword and soon makes his way to the Shrine. Shichika and Togame find themselves in the harsh Ezo region in search of the enigmatic Itezora clan. 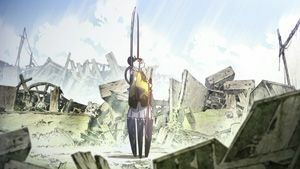 Unfortunately they soon discover that the Itezora's village has been destroyed and the only survivor is an incredibly lonely and immensely powerful 11 year old girl who now possesses the Kanazuchi sword they are seeking. Things then take a dangerous turn when Kyouken Maniwa arrives to claim the Kanazuchi sword and get revenge for her fallen comrades' forcing an already injured Shichika to engage in his most dangerous battle yet. Shichika and Togame are now five months into their quest and have just arrived in Satsuma where they hope to retrieve the Yoroi Sword. However, both the sword (which takes the form of a Western-style suit of armour) and its owner, legendary pirate Kanara Azekura (an expert in defensive combat) will pose a difficult problem for Shichika. 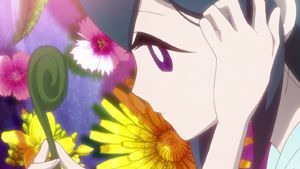 Things then become even more complicated than usual when Azekura declares his love for Togame and the fight quickly becomes about much more than simply collecting another Deviant Sword. 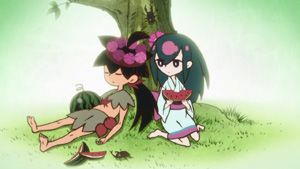 Having returned to Owari, Togame's home, Togame and Shichika meet with Princess Hitei who tells them about the location of Shikizaki Kiki's workshop and the possible sword hidden there. Following the lead, although distrusting of it, the two go to the location, Lake Fuyou accompanied by Emonzaemon. 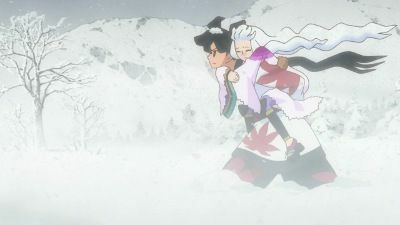 Upon their arrival, Emonzaemon departs and leaves Togame and Shichika to deal with Bito Kanzashi. 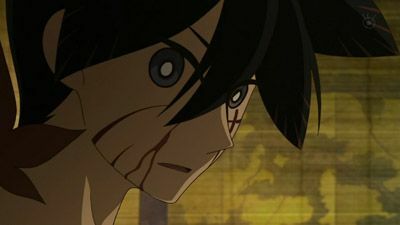 While away, Emonzaemon tracks down Umigame Maniwa and reveals that he is the sole remaining heir of the Aioi Corps, a village of ninjas that were wiped out by the Maniwa Corps 170 years ago. Having told him this, he engages Umigame in battle and defeats him completely and effortlessly using Aioi Kenpo. Togame and Shichika travel to the Shinou Issou School to take on its master, Zanki Kiguchi, for possession of Outou Nokogiri. Being a sword instructor, Zanki is bothered by Shichika's style and refuses to fight him until he receives training at swordsmanship. She offers to instruct him and the two begin a ten day training regimen, much to Togame's chagrin. Meanwhile, the Maniwa Corps are able to retrieve the most poisonous blade of all, Dokutou Mekki. Before they can leave with the sword, Emonzaemon arrives with the intention of assassinating Houou. Penguin and Houou flee while Oshidori stays behind, only to be gunned down with Entou Jyuu after putting on an impressive battle. Togame, a female samurai general, travels to the Fushou island to asks Shichika for help in collecting the 12 legendary swords.